HOW do you make yourself stand out when you are competing against hundreds? That was the question for the 300 job seekers who applied for one of the 15 jobs available at the soon-to-open Chemist Warehouse on Sydney St.
Chemist Warehouse state manager Travis Hughes said feedback from applicants was there is "a lack of work around town" in retail. The potential employees have now been short-listed to just 50 people, and Mr Hughes had lined up back-to-back interviews to be conducted. With a wad of resumes at his disposal, there were specific qualities that made people "stand out", he said. "When you look through a CV, and I have been doing this for a long time, you look at their loyalty to a business," he said. "Obviously, if you have someone who has been working in the industry for 10 years, and they have had 12 jobs, there might be issues on whether they can handle management decisions, whether they can work alone or if they can work within a team," he said. "But when we find someone who has been in retail for 10 years and they have had two to three jobs, it shows loyalty." 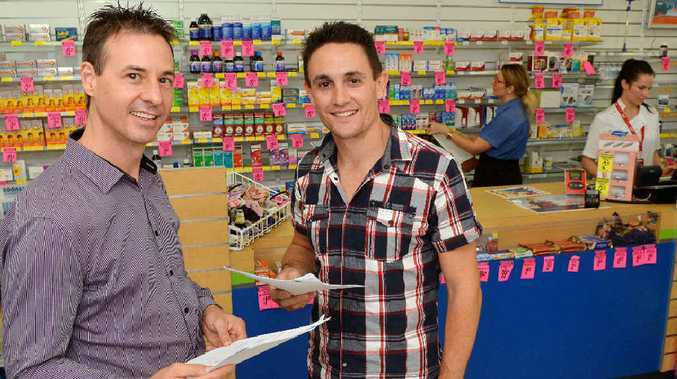 As the Mackay region has more than 15 pharmacies, Mr Hughes said one in two of their applicants indicated they had experience working at a chemist. However, older and experienced workers were not all the employers were looking for. "We need to have the right mix. The young and old, the very experienced and the unexperienced," he said. "We have the bubbly personalities who have never worked in pharmacies before but they inspired us in their interview." About 80% of the applicants had seen the job advertised in the Daily Mercury, he said. "We have noticed that in regional areas, the interest comes from the paper."